Since 1988 Metro Siding has grown to a multi-million dollar business, focusing on siding, windows and gutter installation. 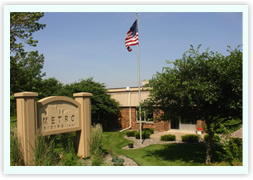 Metro Siding has gone from a three-person operation in 1988, to a company who now has 27 full and part-time employees. The company office and warehouse are located in Elk River. Operating with the latest equipment and techniques, Metro Siding has a fleet of 10 vehicles manned by experienced and highly trained Salesmen, Field Supervisors, Service Technicians and Installers.